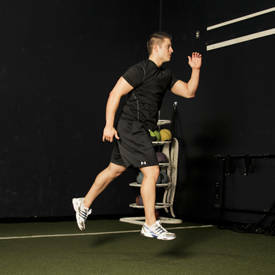 Also known as Lunge Jump. 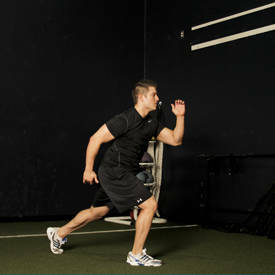 Assume a lunge stance position with one foot forward with the knee bent, and the rear knee nearly touching the ground. 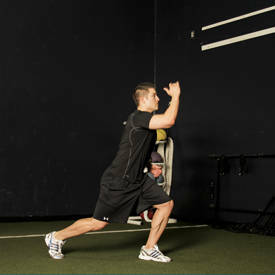 Ensure that the front knee is over the midline of the foot. 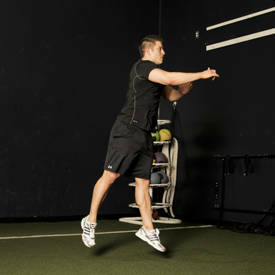 Extending through both legs, jump as high as possible, swinging your arms to gain lift. As you jump as high as you can, switch the position of your legs, moving your front leg to the back and the rear leg to the front. As you land, absorb the impact through the legs by adopting the lunge position, and repeat.